In 2015, my New Year’s resolution took an unexpected spiritual turn. For once in my life, I wanted to make a resolution that counted—one that I wouldn’t forget in two months and that could impact me for eternity. I decided to prepare to enter the temple. That was the best resolution I have ever made—but I had to fight for it. Every moment of that year I battled to stay focused. I questioned “Am I ready? Is this right?” and I worried over all the warnings I received about the temple being strange, confusing, or overwhelming. I learned quickly that, for those who are preparing to received their endowment, “all the elements [will] combine to hedge up [your] way” and “the very jaws of hell shall gape open the mouth wide after thee” to keep you from entering the temple and making those soul-shaping covenants that bring eternal life and joy (D&C 122:7). But I also learned to trust the Spirit and not let anything stop me from coming closer to God, even my own self-doubt. A few days before Christmas 2015, I received my endowment. Despite all the books I had read, prayers I had offered, and advice I received, that moment was unlike anything I had anticipated. Nothing could prepare me for the enveloping love and grace I experienced. 1. The temple is not confusing or strange. Before I received my endowment, I studied Church pamphlets, listened to talks, attended classes, gathered advice, and read several books about the temple. (I highly recommend The Holy Temple by Boyd K. Packer and House of Glory: Finding Personal Meaning in the Temple by S. Michael Wilcox.) You might have guessed I am a chronic over-preparer, but in all this study and reflection, much of what I read or heard prepared me for a rather lackluster experience. While many family and friends told me about their love of the temple, their words were overshadowed by the many others who gave vague warnings about how strange, confusing, bizarre, or overwhelming the experience might be. On top of that, the words of Church leaders outlined again and again how I would not understand the full impact of the temple after one visit. I misinterpreted their words to mean that first visit might be . . . disappointing. That’s simply not true. 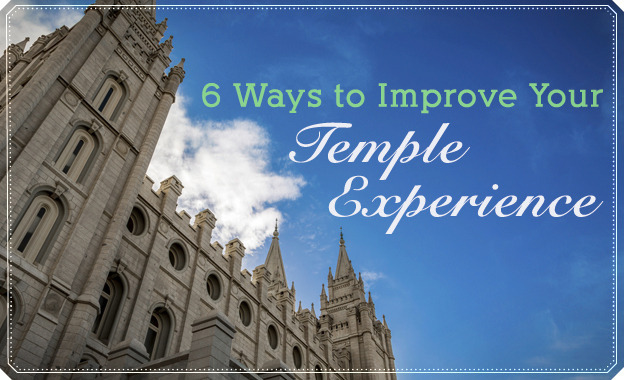 Yes, the temple does instruct in ways we may be unfamiliar with, and yes, you will be able to learn from the temple for the rest of your life, gaining new insights with each new stage and as you mature spiritually. 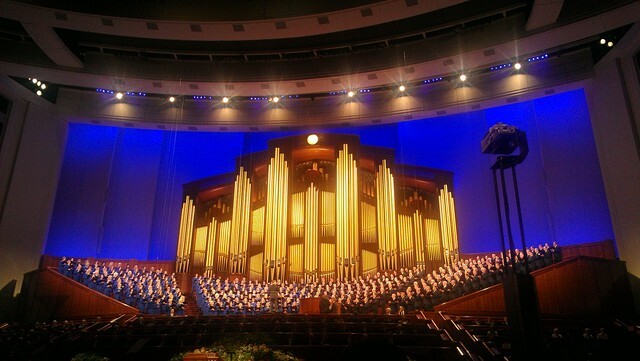 But let me assure you, the temple is soul-stretching, uplifting, and inspiring, even from your first visit. Go into the temple with an open mind, willing to learn, and with a desire to feel God’s love, and you will not be disappointed. Focus on listening to what God wants you to know more than worrying about the physical aspects of the ordinances. There will be people to prompt you, help you, and guide you at every step, so surrender yourself to the Spirit. 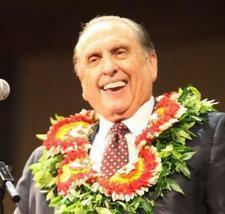 When receiving my endowment, it was not the new symbols, clothing, or instruction that I found overwhelming. Instead, it was realizing the magnitude of the life-changing covenants I was making. Now I realize those promises are not overwhelming but inspiring. They focus our minds and hearts on who we can become with Christ’s help, not where we need to be now. The temple is not a place for the perfect. It is where we strive to be perfected. 2. I can ask questions and talk about my temple experience more than I first realized. To learn in the temple, we must throw out ingrained cultural myths that might make us think we need to figure out this new experience on our own and that questions signify a lack of faith. We must throw out preconceived notions about how learning happens in the Church. Be willing to stretch your mind to begin seeing, learning, understanding, and asking questions in a new way that integrates symbols, action, scripture, and prayer. This experience is new for all of us, and because of that, it takes time, effort, and willingness on our part to embrace this new, celestial way of learning. Don’t be afraid to ask questions. Don’t be afraid to speak of your experiences and ask others for their insights, advice, and help. Friends, family, and our fellow brother and sister in the Church are eager to help you. They have uplifting insights to share. While these relationships can provide added depth to our temple visits, it is our relationship with the Spirit that determines whether we will be able to receive the blessings and truths God extends to us through the endowment and others. This relationship with the Spirit will help us know what, when, and where to share our temple experiences and insights with others. “The Lord is willing to teach if we will ask. We must allow Him, however, to use His own wisdom about when and how to reveal a certain truth. Sometimes He will speak directly to our minds. Sometimes the answer will come in the scriptures. Insight might be presented to us by a spouse, a mother, or a father during a quiet conversation in the celestial room. “These conversations are completely appropriate and may be the means by which the Lord will answer our prayers for understanding. Occasionally we wonder what we can or cannot say about the ordinances of the temple. “Outside the temple, we must use extreme care, speaking only of those things that are in the scriptures or in the official publications of the Church. Even then, we must let this counsel be our guide: ‘Remember that that which cometh from above is sacred, and must be spoken with care, and by constraint of the Spirit; and in this there is no condemnation’ (D&C 63:64).